This is the part of the post where I whine a bit about my absolutely ridiculous past few photoshoot weeks. I tell you how I fell asleep in the front porch rocking chair with my wine glass in my hand after a 12 hour day. It’s also where I might be telling you about the giant pain in my foot (which, in this case, is not a saying – its the truth) that had me doing everything short of rolling it on a frozen can of vegetables (hat tip to the person on Twitter who threw that one out) to make the throbbing go away. I was going to talk about how all my meals for the past week or so have been blobs and bits of things on bread, or flatbreads, or a smoosh of quinoa. Things like these sherry marinated peppers that got slurped up with some crusty bread and a healthy pour of Rosé. On Saturday morning, which I had deemed recovery time by sleeping in until anything past 7 am, I got an email from Shauna and Maggy that…put things in perspective. Bloggers Without Borders was going live and their first campaign was a fundraising effort for Jennifer Perillo. You’re familiar with her story now thanks to a legion of peanut butter pies and heartfelt posts from across the world. You know the parts about the husband suddenly gone, a vibrant young wife who is now a widow and two small girls facing the notion of growing up without their dad. You know that part. The part of the story that’s just now being told is the reality of responsibility in the face of sudden loss. The struggles to keep a roof over a family’s head. Everyday life expenses. Oh yeah…and health insurance for a family of now three? I need not tell you how insurmountable that alone could potentially be. Jennie is dealing with those realities now while still freshly grieving and undoubtedly trying to make sense of things – both for her and her young children. This is the part of the post where I tell you I realize that my stuff really ain’t that bad. I speak often about the power of the food blogging community to band together. To rally. To fuel progress and change. This time, our goal is to fuel healing…and provide some margin of security to Jennifer Perillo and her family. Whatever we raise is good. In this case, more is better. How are we to do that? Bloggers from all over are challenging their readers to donate, to bid on auction items, to give a dollar or ten or a hundred. It’s tough times for everyone – money is tight all the way around. I don’t stick my hand out for money on this blog very often but right now, I’m shaking my little tin can. Throw a dollar into the hat. If each person who passes by this post gives one dollar, we’ll have thousands of sighs of relief for Jennie and her family. A little leeway will go a long way. Each person doing a little adds up to a lot. You can read all about the campaign here on the Bloggers Without Borders website. You can donate directly there or through the link provided in this post. While my career doesn’t allow me to donate something tangible to the auction, I can help sweeten the deal. Leave a comment on this post with the amount you’ve donated – any amount – to #afundforjennie and you’ll be entered to win a space at a very special food styling class, which is slated for Saturday, September 17th. Obviously, you’ll need to be in Atlanta or in easy travel proximity to attend. This is going to be a very intimate class with hands-on styling advice for each attendee. In the spirit of “even a little bit helps”, the winner of the styling class spot will not be chosen by the amount donated. I’ll be picking a winner at random at noon on Monday, August 29th, from all comments submitted. Seriously, folks…every single dollar helps and a small donation is as likely to win and be rewarded as a big one. Flaunt your $1 donations as proudly as you do your $50 donations. Oh…and those peppers? They are awesome. They’re also super easy. If you want the recipe, drop me a line & I’ll send it along. Great post – very well-written! I don’t live anywhere near Atlanta and will be sharing taxi duty for our children with my husband that Saturday as we take our kids to soccer games in separate towns, so if my number happens to come up, please pass it on to the next random winner. I just wanted to say that I agree with everything you say. It’s tough for everyone, but in times of need a little goes a long way. I made my donation earlier today and have urged others to do the same. There are always those hurting, food bloggers or not, and that’s why we are stirred with compassion and moved to donate what we can. For those in other countries and our own fighting drought, famine and natural disaster devastation. For those military families who have lost so much. And for food bloggers who inspire the rest of us in that large but “small world” feeling community. A great donation Tami. Wish I was in Atlanta to bid for this one. Fantastic post, all so true, a real reminder not to sweat the small stuff, which I can sometimes certainly be guilty of. Sadly I am in NZ so Atlanta a little far away, for what I am sure will be an amazing class. I’ll be on my honeymoon, so with no strings attached, I send my donation. This is such an important campaign for this sweet family. I hope we can all help raise funds to help them. Wish I could send some money but I’m under 18 so that ain’t possible. But I’ll pray. Great. Im on my way to donate now. So sad. Time heals with the help of great friends. I am so glad that I stumbled upon the world of food blogging a year and a half ago, the love that is in this community really is amazing. Those pepper look amazing! Would love the recipe! I’m a regular lurker & I was going to donate already (a measly amount, $10, but it’s what I have), but figured since I was doing it, I’d throw my hat in for a chance at the styling class. Jennie’s loss is immense and I can’t imagine what’s she’s going through. I hope the fund is able to pull through in an area she’s needs help with! What a great idea and cause! I love how everyone is rallying together to lend their support. Just made my $25 donation to #afundforjennie. I can’t believe how much has been raised so far. The food blogger community is amazing! 20 bones donated. Same boat as most. Strapped for cash but I can give up a bottle of wine or two for someone who definitely needs it more than I.
I’m broke, but I just got $1 from foodbuzz, so I sent it on to #afundforjennie. I just got an unexpectedly large paycheck and now I why. I’ll definitely be making a donation. I just found your blog through Bloggers Without Borders and I am in awe (and a bit hungry now thanks!). I made a donation to this wonderful cause. My heart goes out to her for what she has to go through but I am so glad that there is a community of great bloggers out there to lend a hand. Bloggers Without Borders is such a fantastic idea. Seeing bloggers come together to help one of our own makes me so proud to be a part of this community. I’ve made a donation to help Jennie and her girls and hope many, many more people will do the same. This is such a good idea. My donation of $20 isn’t much, but hopefully will help some. I just donated $10. Thanks for making this available. Current circumstances have led me to believe that this blogger’s financial situation has been grossly and deliberately misrepresented, in particular by Shauna Ahern. 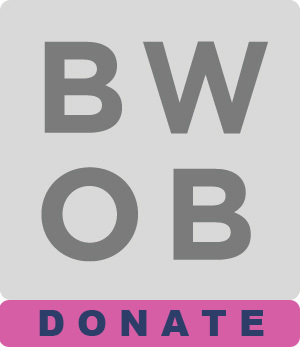 I am sorry to say that I am very disappointed in this endeavor and I will not be donating to BWOB projects again.